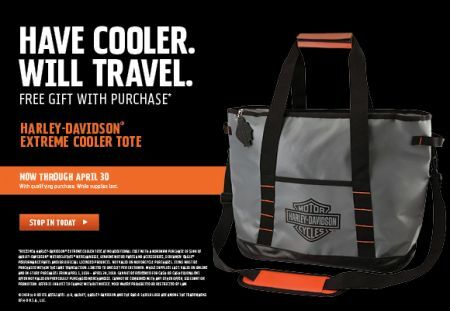 Receive a Harley-Davidson® Extreme Cooler Tote at no additional cost with qualifying purchase from now until April 30, 2019! (Or while supplies last! 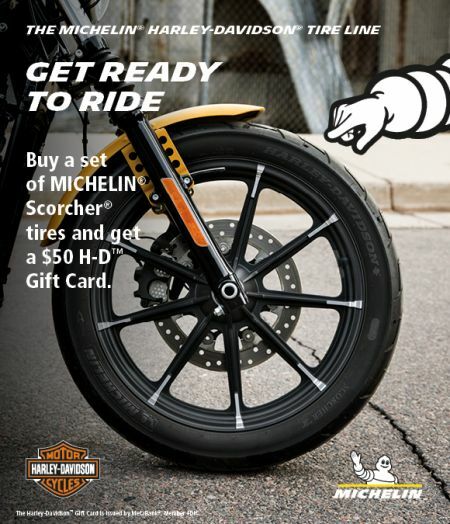 Get a $50 H-D™ Gift Card via mail-in rebate with the purchase of a new set (front and rear) of MICHELIN® Scorcher® motorcycle tires, or a $25 H-D™ Gift Card with the purchase of one new MICHELIN Scorcher motorcycle tire. 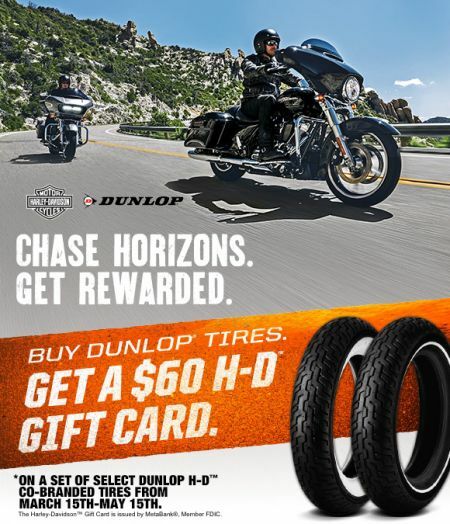 Dunlop Tire Promotion : Chase Horizons. Get Rewarded. 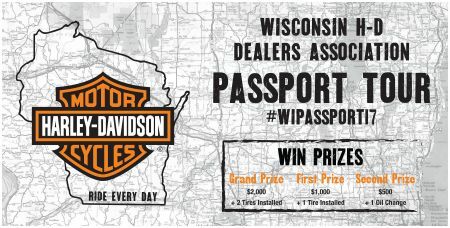 Buy two Dunlop tires and get a mail-in rebate in the form of a $60 H-D™ gift card. 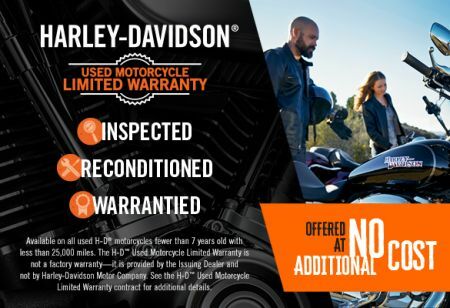 Offer applies to individual consumer purchases made at a participating Harley-Davidson® Dealership between March 15th, 2019 and May 15th, 2019. There’s never been a better time to turn the dream into metal. 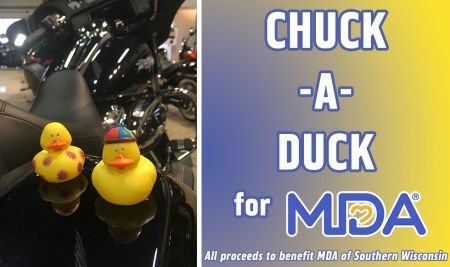 Click below for more details! 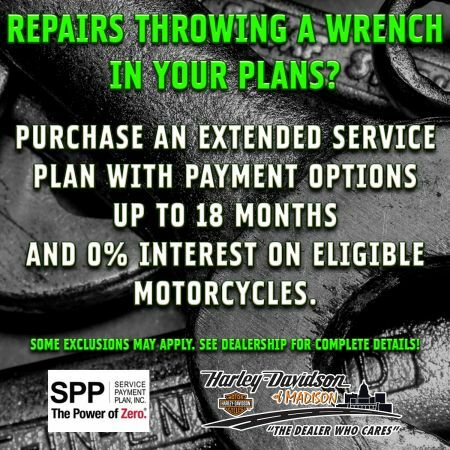 Repairs Throwing a Wrench in Your Plans? 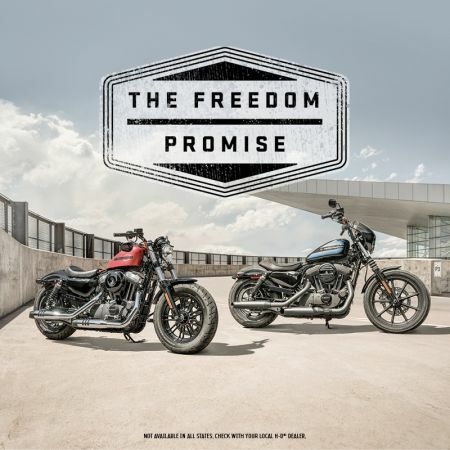 Purchase an Extended Service Plan with payment options up to 18 months and 0% interest on eligible motorcycles. See how! 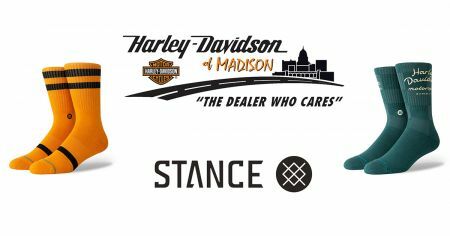 The H-D™ Used Motorcycle Limited Warranty is available on all used H-D® motorcycles fewer than 7 years old with less than 25,000 miles. 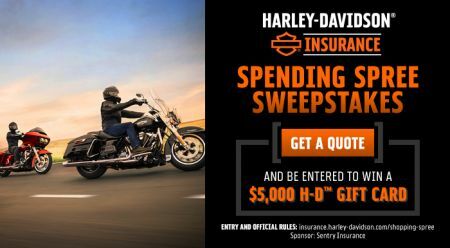 Get a quote from Harley-Davidson® Insurance and be entered to win a $5,000 H-D™ Gift-Card! 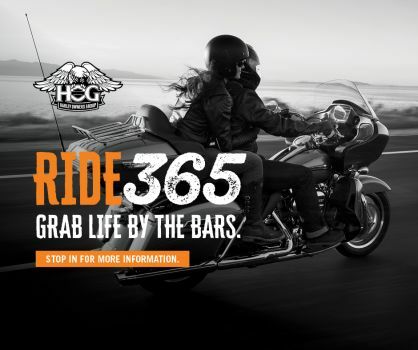 Our H-D™ Visa® Customers have OVER $25,000 in unused genuine rewards >> Find out your share & redeem now!